According to a census of game developers, the number of designers in the U.S. has flatlined while Canada saw a 30% increase. 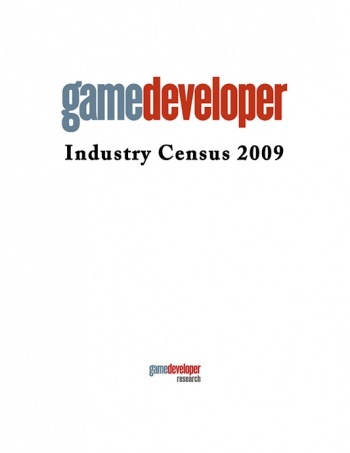 Game Developer Research, a sister organization to Gamasutra, has released the results of its 2009 Game Developer Census. The number of game developers in the U.S. grew slightly from 44,400 to 44,806 while in Canada the population of game developers enlarged from 9,500 to 12,480. Much of the Canadian growth is centered in urban hubs such as Vancouver, Montreal and Toronto. The census also offered state-by-state numbers of game developers in the U.S. California is on top with 20,815 developers working there, which is almost half of the industry. Washington is the second with over 4,500 employees, and Texas ranked third with over 2,600. Eight states (adding New York, Massachusetts, Illinois, Florida, and Maryland to the list) have more than 1,000 game developers with North Carolina being just below that mark. These numbers were relatively unchanged from the 2008 census. It's important to note that these figures represent game workers only and doesn't consider secondary departments or companies who deal with legal issues, marketing or licensing. What does this mean for the industry as a whole? Many new companies were formed in 2009 in the casual and mobile games sectors, which is the reason there is a net gain of jobs in a year that had so many lay offs. Also, the Canadian growth is interesting. Has there just been a trend of new game startups in the region, or is it the irresistible pull of the Great White North drawing the videogame talents across the border? The full report can be found here, but fair warning: You have to be crazy to spend $2,495 on what I just told you.